Breast conserving surgery (BCS) is the standard of care for women with early breast cancer. The margin status is crucial in breast conserving surgery and is an important determinant for local recurrence. Local recurrence is associated with decreased overall and disease-free survival. Several studies have shown that cavity shave margin reduces the rate of positive margins and local recurrence. 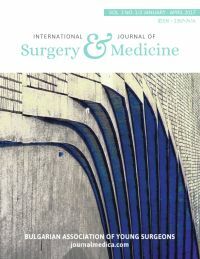 This review analyses the randomised controlled trials to compare the role of cavity shave margin in breast conserving surgery and its effect on positive margins and re-excision rates. A systematic search of literature published before December 2016 for randomised controlled trials in MEDLINE, Pubmed, EMBASE, Proquest, Cochrane central register of controlled trials and Google scholar was peformed. Out of 12 articles 2 randomised controlled trials were eligible. Positive margins and re-excision rates were analysed using odds ratio and risk difference. Out of 12 studies, 2 were suitable for review. Overall positive margins were 18.3% and 36% in the CSM and No-CSM groups respectively, with an odds ratio of 0.373 (95% CI, 0.189 to 0.739, P = 0.232) and risk difference of -0.194 (95% CI, -0.336 to -0.053, P= 0.198). The re-excision rates were lower in the CSM group when compared to the No-CSM group (12.2% vs 31.3%) with an odds ratio of 0.28 (95% CI, 0.160 to 0.520, P=0.578) and risk difference was -0.199 (95% CI, -0.309 to -0.089, P=0.264). Analysis of the randomised controlled trials showed that cavity shave margins significantly reduced the risk of positive margins and the need for re-excision. It is a beneficial technique in women undergoing lumpectomy and breast conserving surgery. Keywords: Early breast cancer, breast conserving surgery, cavity shave margins. Key words: Early breast cancer, breast conserving surgery, cavity shave margins.